Sunbrella fabrics are known for standing up to the heavy-duty demands of marine and awning use. Their solution-dyed colours will stay bright and beautiful for years. Cushions custom made with the Sunbrella fabric of your choice are available for most of our teak chairs, benches and loungers. 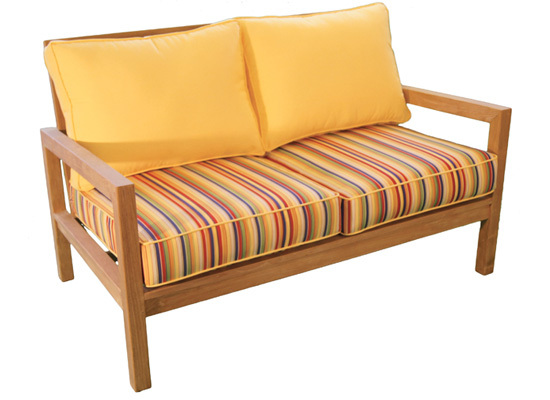 Click here to view all teak furniture fabric options.